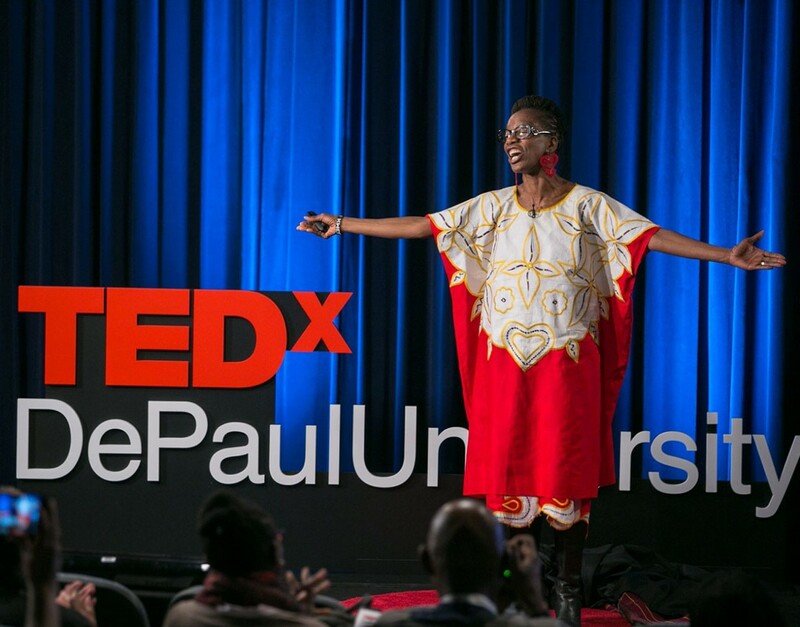 More than 200 faculty, staff, students, alumni and local community members came together on May 1, 2018, to experience DePaul University's third and largest TEDx event. Under the theme "Reimagine," 11 diverse presenters gave nine talks on topics ranging from marginalized communities in Chicago to unconditional self-worth and forgiveness in the wake of an attack. 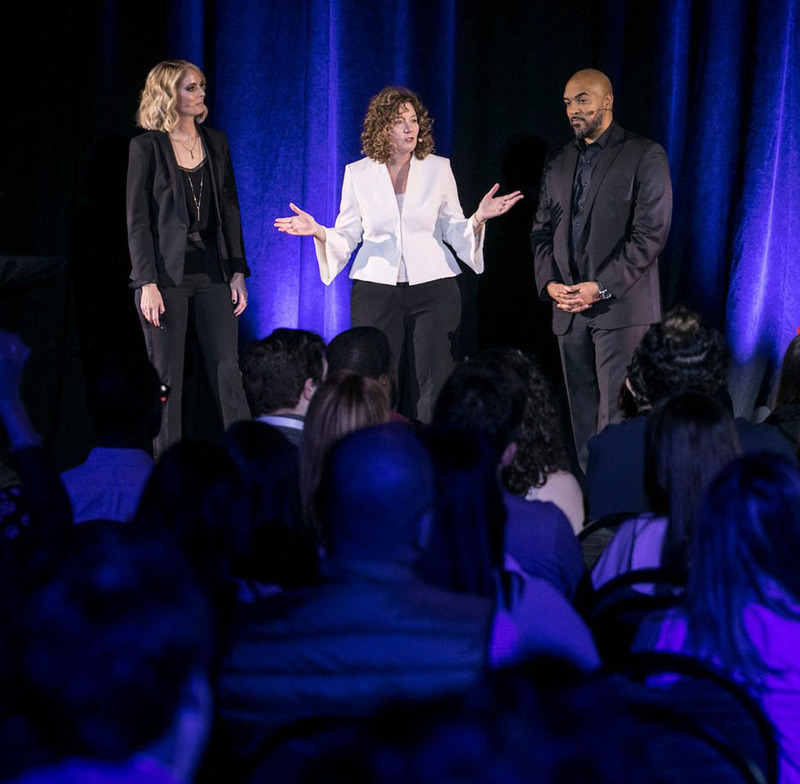 Guests immersed themselves in these new ideas, not only through conversations and networking, but also through a variety of interactive engagement activities including music, meditation, balloon art and drawing. 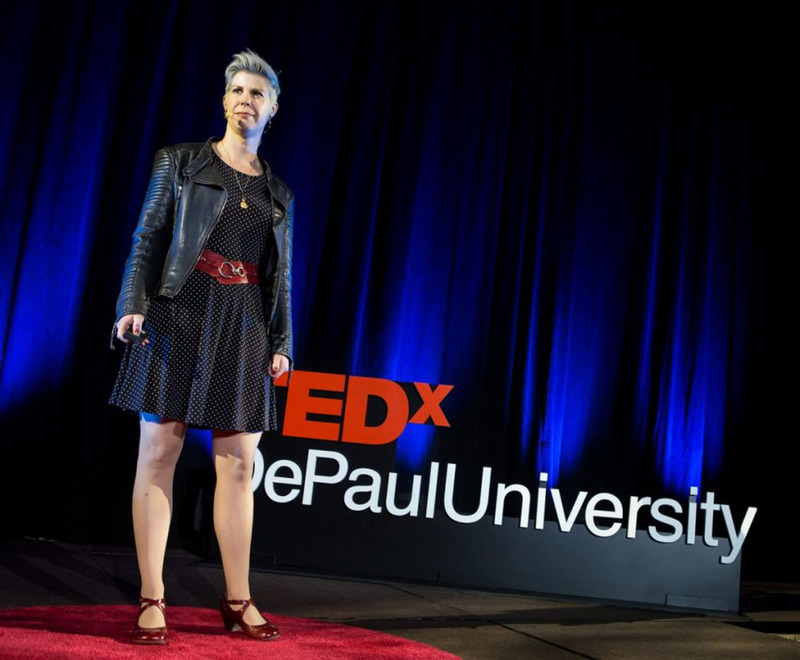 Attendees called this year's event "transformative," "necessary," "innovative," "eye-opening," "educational," "proud" and "inclusive," and 100 percent of the surveyed attendees said they would attend a future TEDxDePaulUniversity. The speakers, which included faculty, staff, students and alumni, spoke on a wide-range of illuminating topics from race and privilege to connection and hope. Each speaker spoke from a place of experience, sharing stories of hardship, difficult conversations, scholarship, and even war, making each talk personal and impactful. The speakers at the event included faculty, staff, students and alumni. Their diverse range of powerful topics inspired many of the attendees and provoked important conversations within the community.